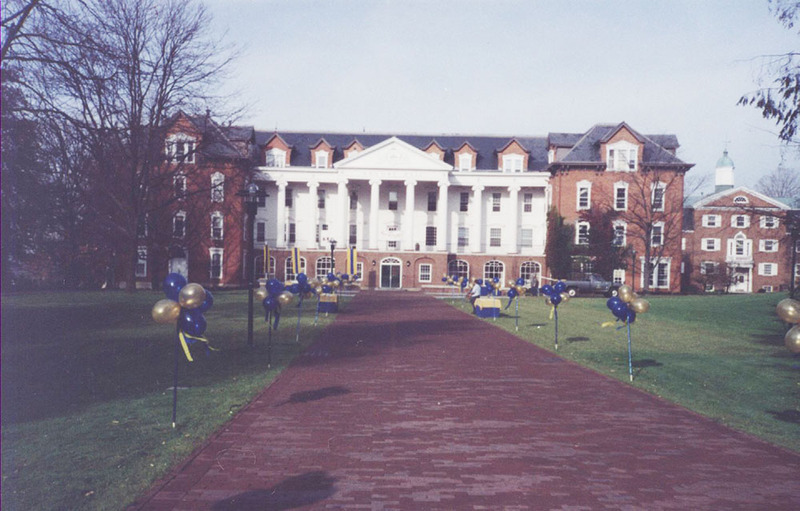 In 1870 Allegheny College first accepted women as students, although it was not until Hulings Hall was erected in 1879 that they were housed on campus. 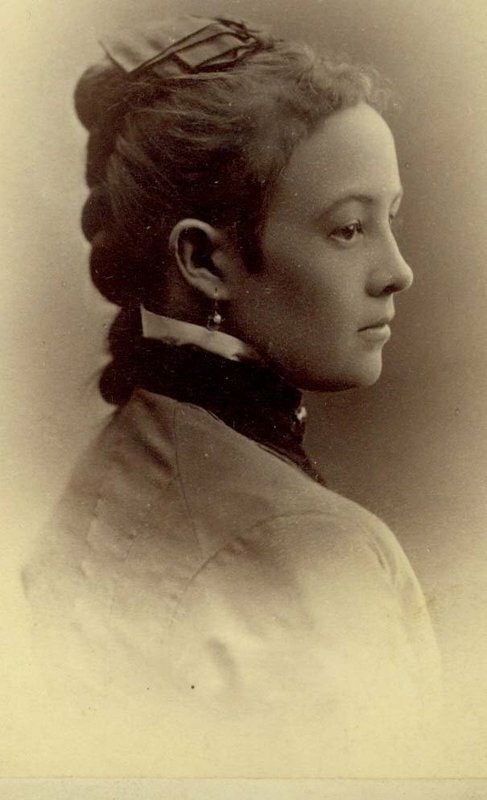 At the cornerstone laying ceremony, Ida B. Tarbell (Class of 1880) expressed her “heart-felt gratitude” to the College for giving women proper accommodations for living, recognizing that women would be a permanent asset to Allegheny College. In 1877 Peter Ford was chosen by the Board of Trustees to construct a dormitory for the women on campus, but when he was struck with illness, Jacob Snyder took on the job. The plan was to make the dormitory out of wood, but due to safety issues the College then decided to use brick, a change that brought the projected building cost to $15,000. Uncertain of how to raise the money, President Lucius Bugbee (1875-1882) proposed that one hundred men and one hundred women, alumni or friends of the College, each give $50, but the response was almost non-existent. However, when Marcus Hulings offered $5,000 towards the building if the offer could be matched, his effort jump-started the donation process and the cornerstone ceremonies happened that month, at Commencement in 1879. 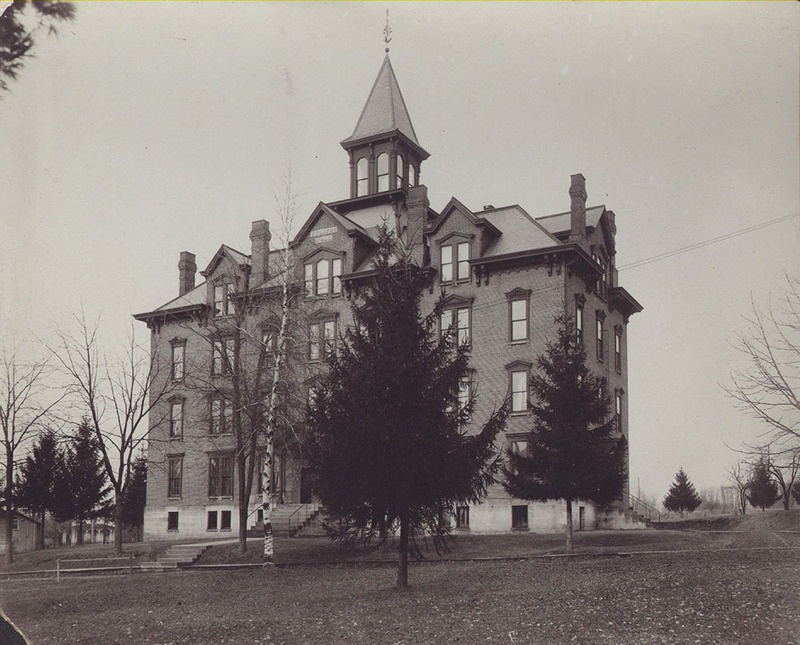 Hulings Hall was positioned north-west of Bentley and the main entrance faced south, it was opened for the fall term of 1880. Multiple additions to Hulings Hall were made in the century after it was first constructed in 1879. 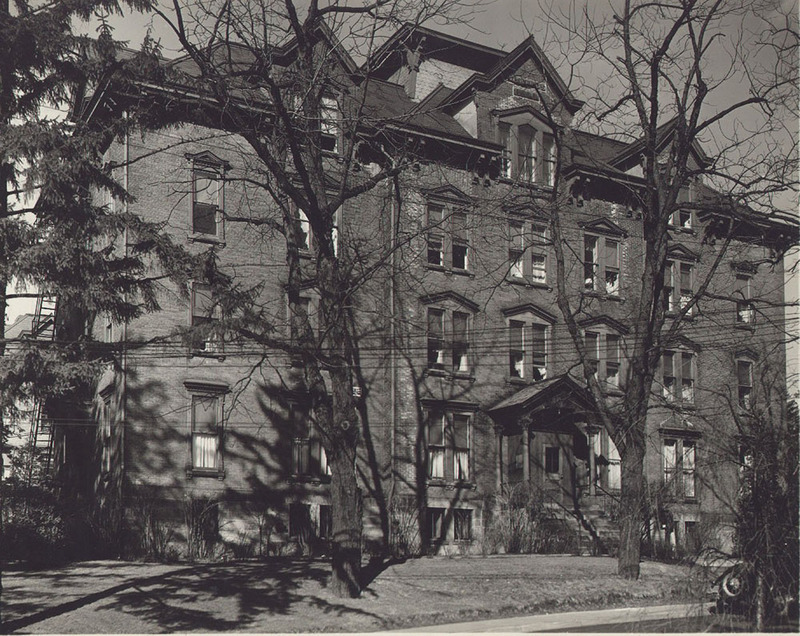 In 1905 part of a gift from Andrew Carnegie went towards renovations in Hulings, including the fourth floor, named Hulings Annex, which now held two suite rooms for sororities, and the gymnasium for the women. The most notable renovation was the addition of Brooks and Walker Halls in 1941, creating a dormitory complex triple in size, with Hulings serving as the south wing, its main entrance now facing east. Walker Annex was later added in 1962. Hulings is still an all women dormitory. Hulings Hall is said to be haunted. The full story of “Sarah, the Ghost of Hulings Hall,” can be found in The Painted Door. Ghost Stories of Allegheny College by Todd Scott (Meadville, 1998). 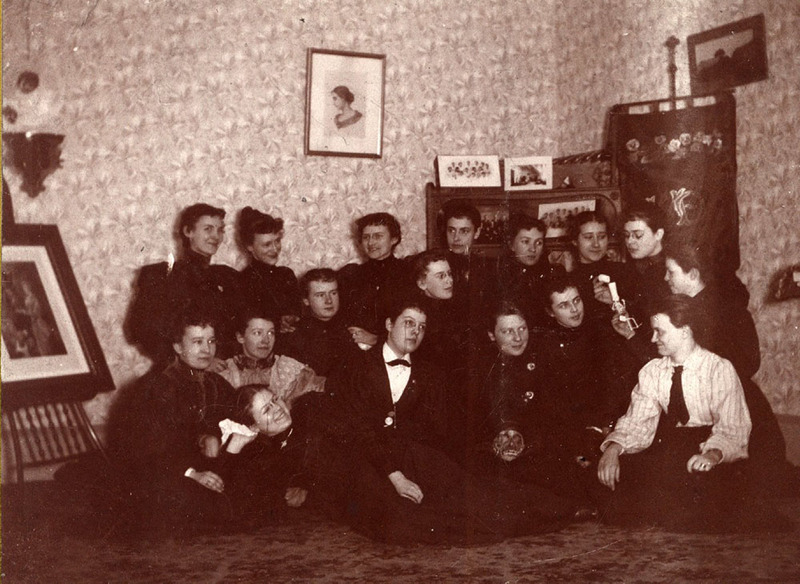 Portrait of Kappa Alpha Theta sisters in their suite in Hulings Hall, 1895: A Theta chapter was founded at Allegheny College in 1876, but the chapter was closed when all but one of the four members graduated. A new group -- The Pleiades -- was founded the following year. 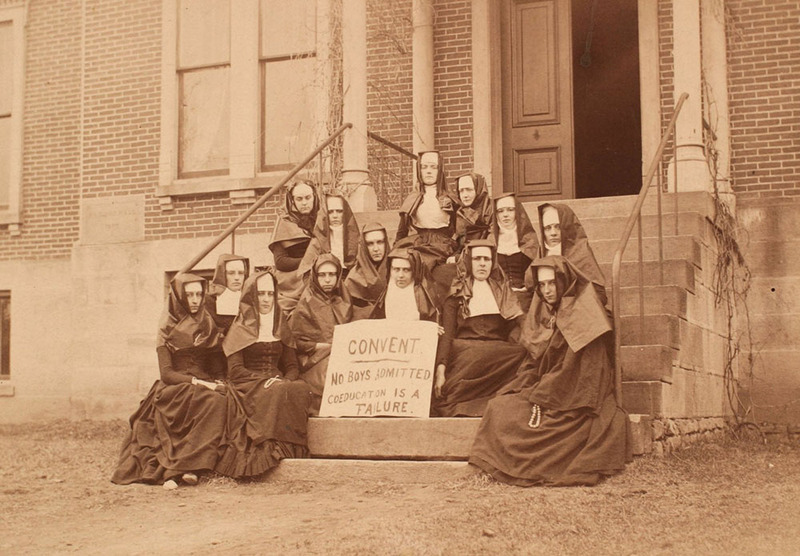 In 1881, the Pleiades became Mu Chapter. 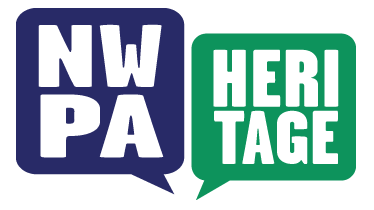 Natasia Sholder, “Hulings Hall,” NW PA Heritage, accessed April 26, 2019, http://nwpaheritage.org/items/show/5.